Your loved one will enjoy the legendary flavor of luxury premium collectible wines for the ultimate tasting experience throughout the year. 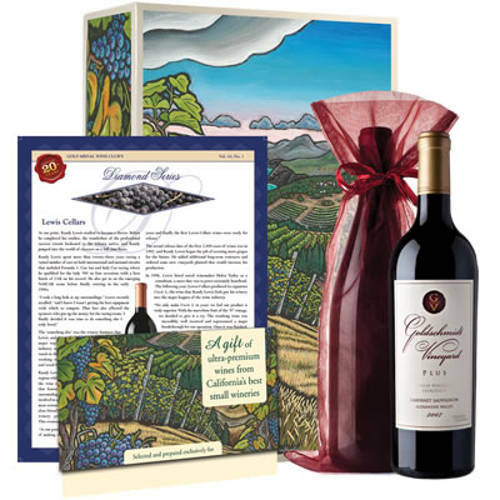 Limited to just 500 recipients, these premium luxury collectible wines are unique Christmas gifts for him to enjoy throughout the year. The Diamond Wine Club is an exclusive, first-class wine delivery club that features selections of incredible, 93+ rated wine from some of the world’s most renowned winemakers in California and throughout the world. Each quarter, members receive a new selection that includes 2 to 4 bottles of superb wine so they can enjoy the ultimate tasting experience time and time again. Shipments are sent to members’ doors in February, May, August and November. Now that wine connoisseur can indulge in exquisite, luxurious flavors that very few have the opportunity to enjoy. If you’re looking for wine and Cigar Christmas gifts for him this holiday season, the Diamond Wine Club is a must have.